Guy Bryan was only ten years old when he left Missouri and came to Texas with his family in 1831. He was in school in the settlement of Columbia when news of the fall of the Alamo came. Along with his mother and a few slaves, he quickly loaded up a wagon and headed eastward to avoid Santa Anna's advancing army. Then just fifteen, he enlisted in the Texas army after the battle of San Jacinto was won, and became an orderly for Alexander Somervell. Bryan soon returned to his studies, however, and the following year entered Kenyon College in Ohio, where he remained for five years. While at Kenyon, he roomed with and became a lifelong friend of later-to-be U. S. President Rutherford B. Hayes. After returning to Texas, Bryan studied law. He served briefly in the Mexican-American War, but returned with his seriously ill half-brother. In 1847, Bryan was elected from Brazoria County to the legislature of the newly formed state of Texas. He served in the House of Representatives for six years, then in the Senate for another four years. Along with John H. Reagan, Bryan was elected to represent Texas in the U. S. Congress. He declined re-election in 1860. He held military staff positions during the Civil War, and spent some time developing his property in the Galveston area after the war. 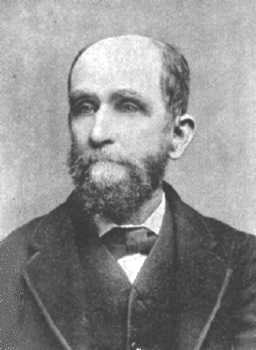 In 1873, Bryan again won a seat in the state legislature, were he was elected without opposition as Speaker of the House. He served again in that body in 1879 and in 1887. Bryan was a charter member of the Texas Veteran's Association, where he served as president from 1892 until his death on June 4, 1901. He was also a charter member of the Texas State Historical Association. Bryan is buried in the state cemetery in Austin.